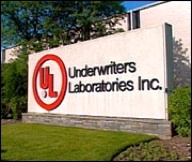 Underwriters Laboratories (UL) is the worlds largest independent product testing company. 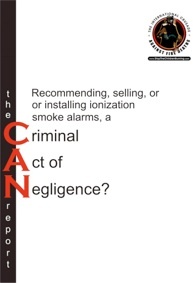 Recommending, Selling or Installing Ionization Smoke Alarms, A Criminal Act of Negligence? the deadliest kind of home fire. 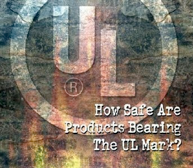 been rewritten in acknowledgement of the fact that it is dangerously flawed? 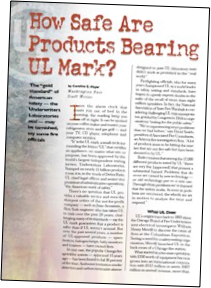 so for three decades, UL has failed to correct its flawed Smoke Alarm Standard (UL217). alarms will continue to lead to countless, needless fire deaths around the world. Note: Read the ‘Special Duty of Care’ letter in The S.A.F.E. Report.